What would you do if your computer’s hard drive crashed? Would all of your images be gone forever? If this is a thought that has kept you up at night, don’t worry! You’re not alone! The scariest part of digital photography is the fact that with one hard drive failure you could lose all of your images FOREVER! Don’t worry. There is a simple solution. 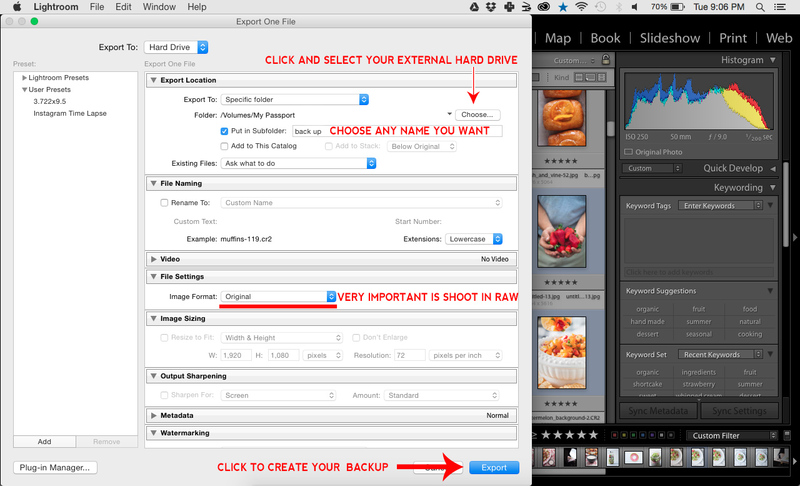 All you need to do is back up your images onto a separate hard drive. Here is what you need:The links below are affiliate links. If you make a purchase through this link, I will receive a commission at no cost to you. Thank you in advance of you choose to do this! 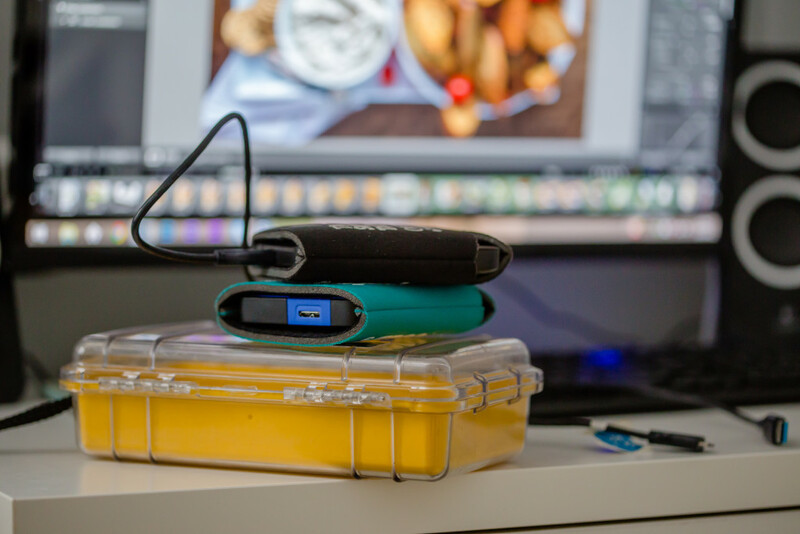 Hard Drives- There are many portable hard drives out there, but my favorite is the My Passport Ultra Portable External Hard Drive. They come in 500GB, 1TB, 2 TB, and 3TB sizes and in Black, Blue, White, and Berry colors.The hard drives pictured above are 1TB (the blue one is an older model which is why it looks slightly different than the black). I like to have a backup of my backup. I will back up my images onto the first hard drive and then make a duplicate backup on the second hard drive. This gives me an identical copy of my backup and another layer of protection. If my first backup fails, then I have a second backup! You may notice that the hard drives above are two different colors. The two colors allow me to easily distinguish between my primary and secondary backup. How do I back up my images? 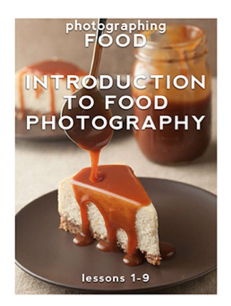 Select the images you want (hold down control while selecting to select multiple images). You will then have an export menu. 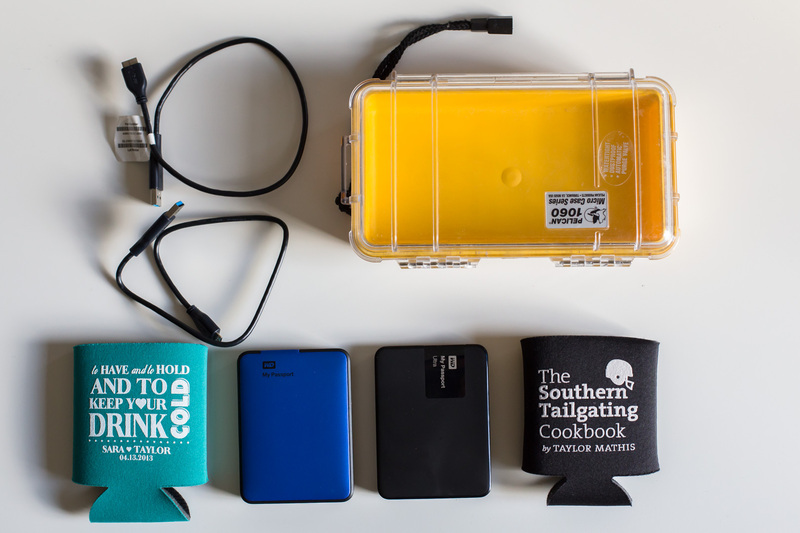 The My Passport Ultra Portable External Hard Drive fits inside a koozie! 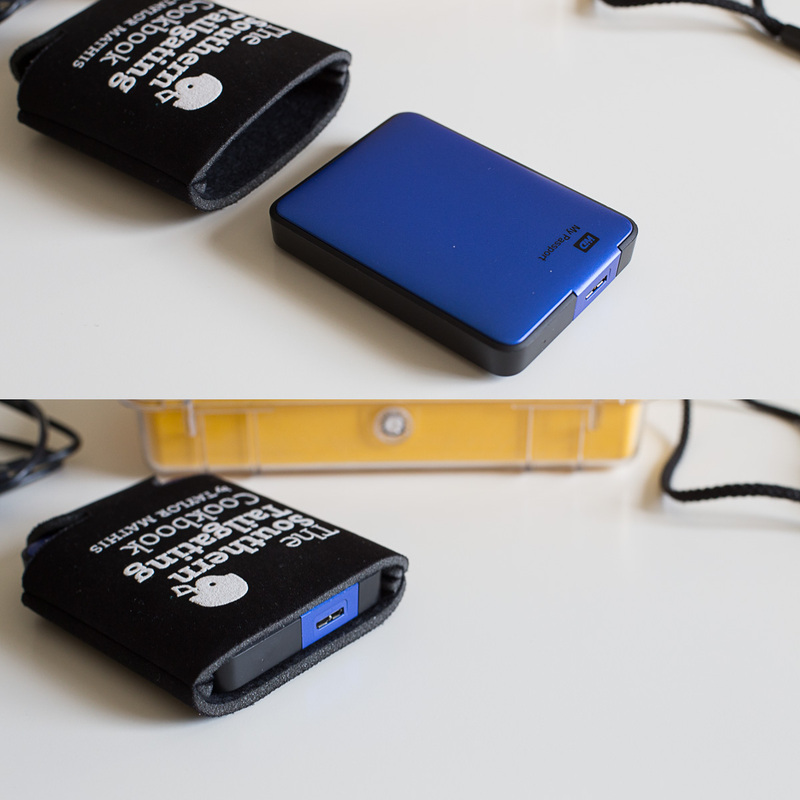 This makes the perfect travel sleeve for your hard drive! I like to store my hard drives in the Pelican 1060 Micro Dry Case with Clear Lid. This is a water proof box that will make it easy to store and transport your hard drives! Here’s how I package the two hard drives into the Pelican Case. In step 6, you will se that I use a clean paper towel folded over a couple times to ensure a snug fit and reduce any movement that could occur while traveling. If you do a lot of traveling, hiking, backpacking, and are going to be pretty rough on your drives, you may want to consider a solid state drive. Solid state dives cost more, but they have no moving internal parts. Having no moving parts reduces the risk of failure caused by these moving parts being damaged during transit. That’s all you need to relieve your hard drive failure fears.